Fishing is rather an active way of spending time, thus it helps to rest and relax. 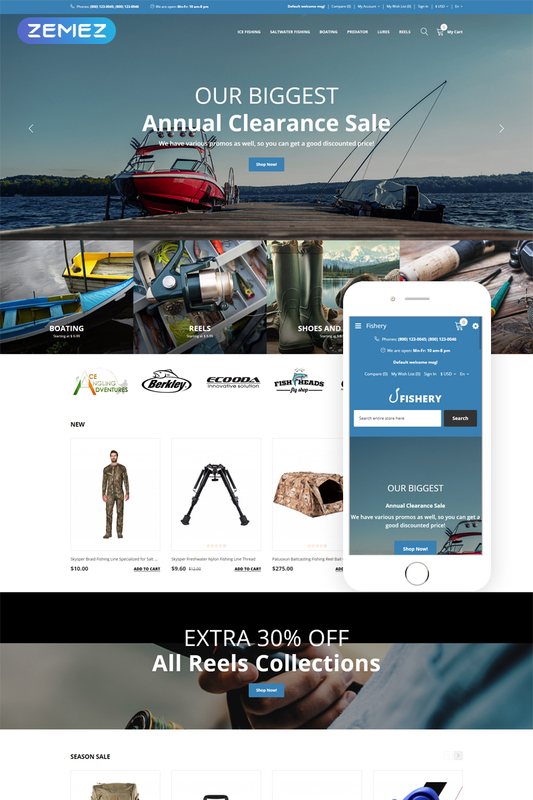 The website of an online store selling fishing accessories should show both sides of the hobby â€“ activity, and leisure. This OpenCart template does the job perfectly â€“ gorgeous pictures show beautiful sights and accurate animation effects make the pages look more dynamic. The design is simple and practical â€“ customers get what he wants and is not distracted by annoying pop-ups. If you have clients from different countries, it wonâ€™t be a problem to get a payment in other currency â€“ the template has multilingual and multicurrency modules.